Valivarre is a bright blue-white A6 dwarf, twice the mass of Earth's sun, and substantially hotter at the surface (8300 K). Valivarre is large, at 1.95 times the radius of Earth's sun, and puts out sixteen times the light; and a higher portion of that is in the ultra-violet than one sees at Earth. Analysis of the star indicates that it is a mere seven hundred and ninety million years old, and it is estimated that within thirty-five million years' time, Valivarre will have become an orange K5 giant, destroying all life in the system. Valivarre is located 1812 parsecs from Earth, in the direction of the constellation of the Southern Cross (RA 12h4.2m, Dec -62.12), and was the center of a vast interstellar empire that, at its height, controlled fifty million cubic parsecs and more than a thousand inhabited worlds. Valivarre is home to twelve planets. The first three are rocky, hot, inhospitable worlds, ranging in size from a tenth to nearly twice Earth's mass. The next five are gas giants, the inner two being similar to Jupiter and Saturn respectively, and the outer three more resembling Uranus and Neptune. The outermost four worlds are composed largely of a mixture of rock and water and methane ice, larger analogs to the Uranian and Neptunian satellites, and Pluto. Fantoma is the fourth planet from Valivarre, orbiting every 2066 Terran days at a distance of 3.95 AU. At this distance, it receives approximately the same amount of radiative flux from its sun as does Earth, though the light is more in the blue and ultra-violet. Despite the fact that Valivarre is nearly twice Sol's radius, Valivarre subtends only a quarter of the solid angle on the sky at Fantoma as Sol does on Earth, due to the greater distance. Because Valivarre is bluer, and because of its smaller angular size, looking directly at Valivarre is several times more dangerous to the naked eye at Fantoma's orbit than looking directly at the Sun is at Earth's. Fantoma's axis of rotation is inclined 26 degrees from the orbital plane, and the planet possesses a formidable magnetic field. However, as Valivarre's solar wind is subsonic, Fantoma lacks the magnetospheric structure for which Jupiter and Earth are famous. Fantoma is a gas giant, somewhat smaller than Jupiter, with a total mass 208 times that of Earth's, and a radius slightly more than ten times Earth's (64,930 km). With a rotation period of eleven hours and six minutes, the enormous coriolis forces drive the atmosphere into bands of high- and low-pressure zones (like on Jupiter and Saturn), and a large number of storms are visible. Most prominent is Yev'evle, a high-pressure region near the Fantoman equator similar to Jupiter's Great Red Spot; this storm has persisted throughout the full extent of Tirolian record-keeping. Furthermore, because of the far greater radiation input than on Jupiter, the atmosphere is far more dynamic and turbulent. Fantoma's atmosphere is composed largely of hydrogen, helium, methane, ammonia, water, and carbon dioxide, and as a whole the planet appears as varying bands of blueish-green and white. A modest ring system encircles Fantoma, extending from 1.3 to 1.7 Fantoman radii, consisting mainly of rock fragments which range in size from dust to several meters in length. While clearly visible from the surface of its moons, these rings, which are inclined at most 0.2 degrees from the planet's plane of rotation, are not nearly so spectacular as those surrounding Saturn, but are still more impressive than Jupiter's. The most unique aspect of the Fantoman rings is the prevalence of magnetic monopoles amidst the dust in several of the middle rings; these particles have not been found in large quantities elsewhere in the Galaxy. It is possible that an object composed largely of monopolar matter passed too close to Fantoma and was torn apart by tidal gravity, and the fragments were incorporated into the ring system. Fantoma is home to eight moons. The first two, Falcaro and Stonol, are small bodies of rock less than a couple percent of Earth's mass. Falcaro is extremely geologically active, as is Stonol to a lesser degree. This is due to the tidal pull of Tirol, which prevents these two moons from being phase-locked with Fantoma. The third moon, Tirol, is very nearly the size of Earth. Madrea, the fourth, is a modest moon a hundredth Earth's mass. The other moons, all further out than Madrea, are very small, at most 0.3% Earth's mass. 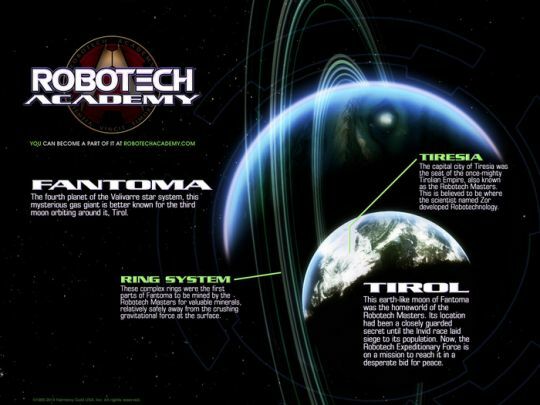 The third moon of Fantoma, Tirol is the traditional seat of Tirolian civilization, though the Robotech Masters abandoned the surface centuries ago to dwell in their artificial clone-societies aboard their orbital motherships, leaving the bulk of the populace on the planet below. Tirol is a somewhat smaller planet than Earth, with only 61% of Earth's mass and 82% Earth's radius. Tirol is, on the whole, marginally denser than Earth (thanks to a larger core relative to the planet's size), and possesses a surface gravity 92% of Earth's. It orbits very close to Fantoma's equatorial plane at a distance of 2.4 Fantoman radii (157,711 km), completing a revolution every twelve hours and twenty-one minutes. Because of Fantoma's great size, and the small size of the other Fantoman moons, Tirol is phase-locked to Fantoma; that is, from Fantoma's perspective, Tirol always shows the same side to it. The most prominent object in the Tirolian sky is Fantoma, subtending nearly 45 degrees in diameter. Eclipses of Valivarre by Fantoma are almost a daily occurrence on the Fantoma-ward side of the planet. Depending upon the season, Fantoma is visible even at noon. From Tirol's perspective, Fantoma never moves in the sky, and its position in the sky is entirely determined by the observer's location on Tirol. The phase-lock also means that Tirol's rotation period, or its day, is the same as its rotation period around Fantoma: namely, 12 hours, 21 minutes. Because Tirol's orbit slightly overtakes Fantoma's rotation, Fantoma appears to rotate retrograde (from Tirol's perspective), with a period of almost 110 hours, or nearly nine Tirolian days. Tirol's higher rotation period affects its weather significantly. The centrifugal force on the atmosphere is more than three times that on Earth, and the coriolis force nearly twice it. Weather patterns tend to be confined to smaller cells than one would expect on Earth, and much of the cloud cover and precipitation are at the lower latitudes. Tirol has no detectable intrinsic magnetic field; even if it did, it would be dwarfed by Fantoma's contribution. Fantoma's field is, to good approximation, a well-aligned dipole, so its magnetic field lines are seen on Tirol as being virtually parallel to the planet's rotation axis. Despite the differences, two-dimensional compasses act similarly on the surface of Tirol as on the surface of Earth. 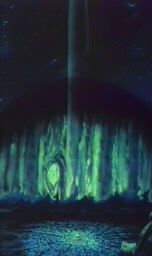 The main effect is that Tirol sees intense aurora at all latitudes. The presence of debris from Fantoma's rings also makes meteor showers a frequent occurrence on Tirol. Fully 32% of Tirol's surface is land, the majority of which is a single super-continent named Pae'rana centered on the sub-Fantoma point. A series of volcanic islands and several small sub-continents exist on the side of Tirol opposite Fantoma, but that half of the planet is almost entirely ocean. Tirol is somewhat tectonically active, as the other moons disturb the planet's phase-lock with Fantoma, but continental drift away from the supercontinent is relatively minimal, thanks to the Fantoman tides. Much of Tirol is more arid than Earth, especially toward the center of the supercontinent Pae'rana, but the planet sees all the range of climes and ecological zones Earth does. Indeed, Pae'rana's ecological zones exist in large part in belts, according to latitude. At the highest latitudes are arctic and tundra zones, then a taiga-like forest belt. Lower in latitude are the grasslands, and below that the equatorial deserts and jungles. Most of the Tirolian population lives in the grasslands and steppes, and on the coastlines of the more temperate zones. While Tirol's inhabited surface area is similar in size to Eurasia and Africa combined, its racial composition is dramatically more homogeneous than old world Earth. There are only three racial types, descending from Earth's Caucasians, Dravidians, and Mongoloids. From this fact, it can be surmised that the original humans transplanted to Tirol originated in the Near East and Central Asia. In the six millennia between the arrival of humans on Tirol and the advent of civilization across the planet, the Tirolian peoples fragmented into four major language families, and innumerable tribes and ethnic types. Eventually, by a process of attrition and cultural assimilation, Tirol's peoples began to consolidate, first into the great empires, then later into the major industrial nation-states. By the time of the advent of space travel in 652 C.E., only seven major languages were left, and four of those belonged to the 'Tzen' branch of the Orpelo-Sue'tonan language family. Increasingly, the dominant culture became that of the Tiresians, relative newcomers to Tirol's ethnic mix. The earliest appearance of the Tiresians in the planet's records dates back no further than 410 B.C.E., and they did not become prominent in world affairs almost until 360 C.E. By the emergence of the Robotech Empire in 1361 C.E., Tiresian culture and language had penetrated to every corner of the globe, as a consequence of their political and economic dominance. Today, most of the ancient cultures and peoples are diluted beyond recognition, and their unique facets have been relegated to family- and place-names, and regional festival costumes. A singular exception are the rugged and independent-minded mountain people of the Rilac region, who have kept their language and customs over the many centuries. Tirolian culture, and by this one means Tiresian culture in particular, is very superior in its outlook. 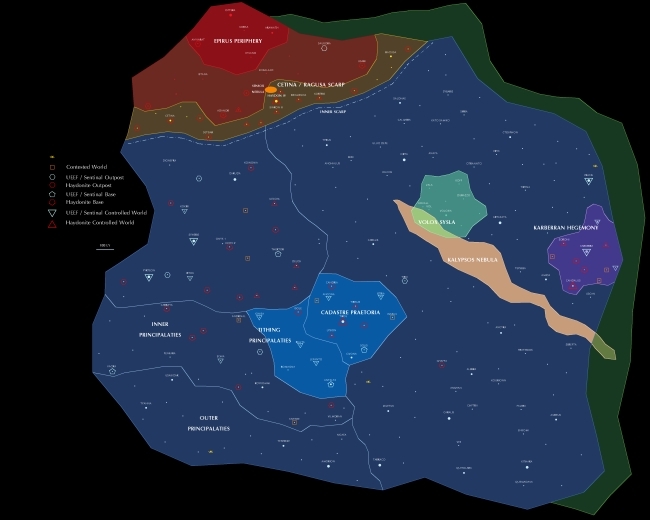 After a thousand years of being an interstellar power dominating hundreds of alien worlds and a thousand colonies of all sizes of their own, Tiresians grew to look upon themselves as the highest expression of civilization in the Galaxy. The maintenance of the ancient forms of government and the creation of monumental architecture became paramount in the Tirolians' priorities. The Robotech Elders and Masters were seen by many on Tirol as having abandoned their duties to the state, as they abandoned Tirol itself, but the Tirolian citizenry had neither the resources, power, or will to challenge the Empire. Tirol's myriad of pre-industrial cultures produced a flowering of mythic and religious literature over the millennia, though all share a common thread. In the variant of the myth the Tiresians inherited, the Tirolians were originally created by the supreme god Var'e, a solar deity representing both creation and destruction. Eventually, Var'e's domain was invaded by the supreme evil entity in their mythos, called Adoyn'de, and the Tirolian race was abducted by a race of demonic dragon-like creatures called the P'tok, of which Adoyn'de was king. Brought down from Heaven as slaves of the P'tok, Tirolians eventually overthrew their masters with the help of the intercessory deity Fanto, in his first incarnation, Zor'de. Fanto's third incarnation, Lanack, is said to have been born nearly six thousand years later, and to have taught the Tirolians the arts of civilization, after waging a century-long war against an evil king. Eventually, the Fanto cults evolved into a number of national and sectarian deities, from which several major universalist philosophic religious systems emerged. These belief systems, however, died at the hands of the secularism of the early interstellar republics. In the following centuries, Tiresian philosophical thought, the dominant form, dwelt more on civic duty, familial obligations, and public morals than on transcendental or theological concerns. Life clearly did not find its origins on Tirol. Valivarre is too young a star, scientists suggest, for life to have formed on the worlds that orbit it. Similarly, DNA sequences from other worlds in the quadrant indicate that life on those worlds, in part or in whole, shares a common ancestry with that on Tirol. Evidence is beginning to suggest that the Tirolians are the third civilized species to have inhabited the planet. The first occupation period, dating 114 million years ago, appears to coincide with the enormously widespread colonization of worlds by an unknown, long extinct race dubbed the 'Seeders'. This race, of whom no artifact has survived the vast eons, appears to have settled hundreds of planets in the quadrant before their demise. Because of stellar dispersion, it is impossible to know (without surveying the entire Galaxy) how large their sphere of influence once was, though estimates place it on upwards of a thirty thousand inhabited planets. On some worlds, it appears they only introduced new life to pre-existing ecosystems. Others (such as Tirol) appear to have been completely terraformed, and all their life transplanted from elsewhere. In the more than one hundred million years since life was seeded on Tirol, however, the planet has developed its own unique species and ecosystems, as evolution took its course. The life brought to Tirol has long since adapted to its climate, and to its bizarre day, night, and eclipse cycles. The second alien occupation period appears to have been a mere 15,000 years ago, when a second race, dubbed the 'Settlers', established a small colony on Tirol. Little is known about this race as well, other than that they brought more lifeforms from other worlds and deposited them onto Tirol, Praxis, and elsewhere. Most important of the races brought by the 'Settlers' to these planets were, of course, humans from Earth. Few 'Settler' sites have ever been unearthed, and those that have been found have revealed little; Tirol appears to have been a small backwater colony, possibly agricultural in nature. In any case, the population of 'Settlers' on Tirol seems to have never exceeded six thousand in small, dispersed settlements. The 'Settlers' apparently used cremation in their burial rites, and no confirmed reports of their skeletons have ever been found - though human remains are often associated with 'Settler' occupation sites. It is a possibility that a Tirolian racial memory of this race formed the core of the myths relating to the P'tok. Sometime around 14,000 years ago, not long after the humans were brought to Tirol, all traces of the 'Settlers' vanish - with indications that their settlements were destroyed by violence - and the humans transplanted to this distant planet began their long reign as the unchallenged masters of this world. The first Tirolian civilizations began to appear approximately 6500 B.C.E., in the Dev'er and Relav river valleys, with three other complex urban cultures springing up within the next millennium. Writing appears to have been developed in the Dev'er city-states approximately 5800 B.C.E., and independently again in the Relav and Tonvella cultures within five centuries of that. Much of Tirolian civilization can be traced to these earliest cultures, though all were eventually conquered by successive waves of later tribes. Tirol's pre-industrial history is long and complex, and, owing to limited translations available to Terran historians, is not as widely understood as one might like. The primary cultural continuum that led to the Tiresian culture began with Dev'eria. Though this region's political centers were conquered and destroyed by successive waves of barbarians over the millennia, the newcomers invariably adopted the Dev'er culture. This insured that it remained culturally intact until 1200 B.C.E, when it was finally destroyed by a nation of tribesmen influenced by their society, the Tettelians. In the prior centuries, however, the Forasi city-states emerged, and though culturally distinct from the Dev'er, many of the religious, technical, and scientific achievements of the De'ver were imported. Following on the heels of the Forasi were the Ein'liba, whose drive and martial ambition caused them to build a vast empire that reached its height by 721 B.C.E. ; the Forasi were conquered and their culture adopted to a great extent by the Ein'liba. Waves of barbarian invasions, incessant warfare against the various dynasties ruling Tettelia, and economic problems eventually toppled the Ein'liba by 301 B.C.E. Northwestern Pae'rana then entered into something of a dark age, from which the modern cultures of Su'tone, the backwater southern coastal regions of the old Ein'liba empire, eventually emerged after their long intellectual slumber. Among the nationalities that emerged in this region were the Tiresians, descendants of barbarians who had pressed upon the Ein'liba empire centuries before. By 360 C.E., the Tiresians had emerged as one of the most powerful nations in the Su'tone region, and were expanding their influence eastward into Orpelae. Technology advanced at an impressive pace during the fifth through seventh centuries C.E. in Su'tone, fueled by population growth and economic development. During this era, the peoples of Su'tone began to aggressively expand, colonizing much of Pae'rana and displacing and dominating the indigenous peoples and cultures. Nevertheless, the aggressive competition between the Su'tonean nations led to several devastating world wars, the third of which ushered in nuclear weaponry. A reluctant participant in the last one, Tiresia nonetheless emerged as the sole major world power, with the might to impose its will, if necessary, on any part of the planet. Frustrated by the poor handling of the Ci'Vonian war by the Robotech Elders, the 1st Robotech Master Triumvirate, with the assent of virtually all the other Robotech Masters, seized control of the government in 1800 C.E., keeping the Elders on as mere figureheads. With the Ci'Vonians effectively out of the way, and the Zentraedi fleets burgeoning, the Empire began to rebuild from the terrible fighting that had brought it on the brink of annihilation. An Imperial renaissance began, though the reformed empire of the Masters was only a small fraction of the Elders' at its height. Most of the outlying colonies, especially the small ones, had been utterly eradicated by the Invid's ruthless advance, and many of the larger ones had been devastated by the Ci'Vonians or the Masters in their war. But with the consolidation of the Zentraedi around the remaining colonies, the Invid threat was contained, and would not seriously trouble the Empire for two more centuries. Still, the long war had given Dolza, the Zentraedi supreme commander, significant autonomy over the Zentraedi fleet and its operations. 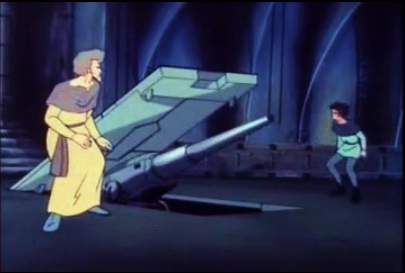 Communications between the Masters and their Zentraedi slaves began to break down, while Dolza's interpretations of his orders became troublingly distant from the Masters' intent. By now, the problems with the dwindling supplies of protoculture had begun to approach a crisis level. Every half-century, Zor would be released from his house arrest and sent to seed a host of new worlds with the Flower of Life. 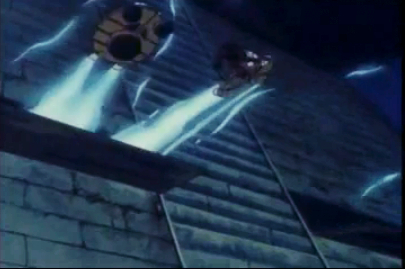 In approximately 1950 C.E., Zor was once again dispatched in the newly-designed Tirolian onitor Macross for that purpose. The Masters had long accepted that Zor would never divulge the secrets of the Flower of Life to them, but they also found that he was tired of fighting them. His demands became increasingly token, and the Masters were more than happy to satiate him. At this time, the Invid tactics began to undergo a bit of a revolution. As the Invid began to capture the Tirolian colony worlds, they began to build up a stockpile of the seeds of the Flower of Life. 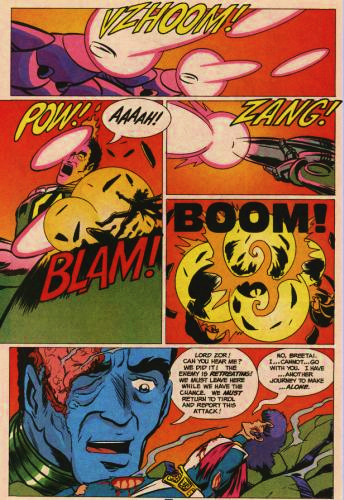 To their dismay, the Masters discovered that the strain Zor had been seeding was a mutant variety, that even the Invid could not cause to produce fertile seeds. Even worse, the infertile seeds and plants captured by the Invid kept them powered and fed, at least for a time. With the introduction of their vast Hive Ships, spherical analogs to the Tirolian motherships, the Invid became capable, in some small measure, of challenging the Zentraedi in a stand-up fight. The Invid made virtually no permanent gains during this perod, and suffered a major setback when their new base of operations in the Large Magellanic Cloud was discovered by the Masters' fold-sensing probes. 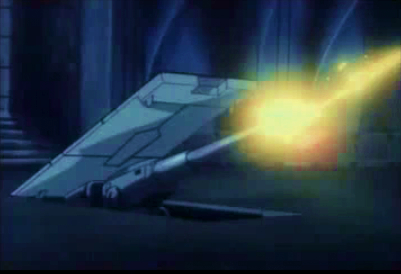 A Zentraedi taskforce made a six year-long journey to this planet and struck a terrible blow against them, forcing the Invid to abandon their homeworld for the second time. Still, it became painfully clear that the balance of power was shifting away from the weakened and devastated Empire, and to the Invid. In 1940 C.E., the Zentraedi rooted out the last Ci'Vonian stronghold and destroyed it. Though the Robotech Masters long feared the return in force of the "Disciples of Zor", this fear was never realized, and the Ci'Vonians were never heard from again. The Invid had become the sole remaining enemy. Still, though its worlds were mostly protected, the Empire's collapse was imminent. Power supplies were scarce, and to maintain order, a fair degree of autonomy had to be returned to the worlds inhabited by non-Tirolian races, like Karbarra - though none of these worlds desired independence, as that would leave them open to the depredations of the Invid. The Imperial renaissance foundered, and rot began to set into the long-stagnant society. 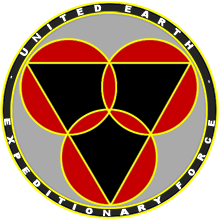 The beginning of the end of the dying Robotech Empire came in February 1999 C.E., when Zor was killed in an Invid ambush during a seeding mission in deep space, and the secrets of the production of fertile seeds of the Flower of Life died with him. 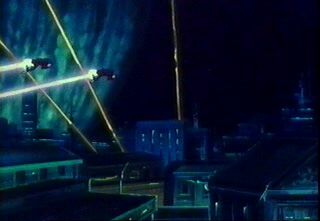 To make matters worse, the remaining store of fully fertile seeds was hidden aboard the Macross, which launched on autopilot during the ambush that killed Zor and folded into parts unknown. 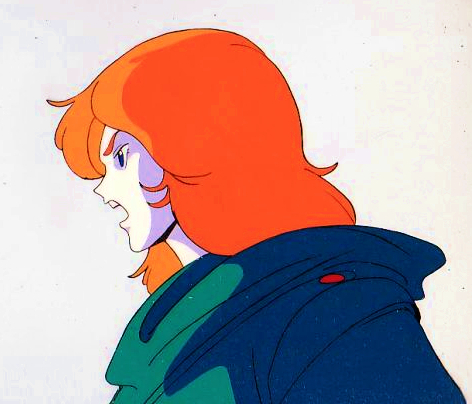 Desperate for the remaining fertile seeds and their matrix, the Robotech Masters, perhaps foolishly, authorized Dolza to use any means necessary to recover the Macross. In July 1999, the Macross crash-landed on Earth, followed ten years later by a Zentraedi task-force under Breetai Kridanik. In a virtual repeat of the circumstances that began the Ci'Vonian War, Breetai's Imperial-class Ado fleet, a fifth of the total Zentraedi armada, defected to the side of the cultured humans. This time, the rogue Zentraedi and their contaminators didn't have time to even contemplate running. 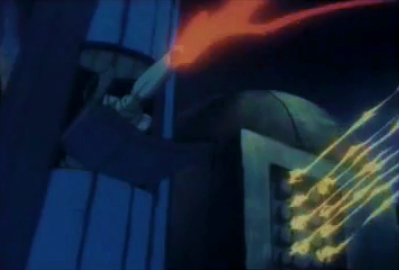 On June 18, 2011, Dolza, acting on his own initiative to remove the contaminated Zentraedi near Earth, mustered all the Zentraedi ships that still had sufficient power to make the fold to Earth, leaving the Empire's core systems, long protected solely by their Zentraedi contingents, dangerously vulnerable to the Invid. 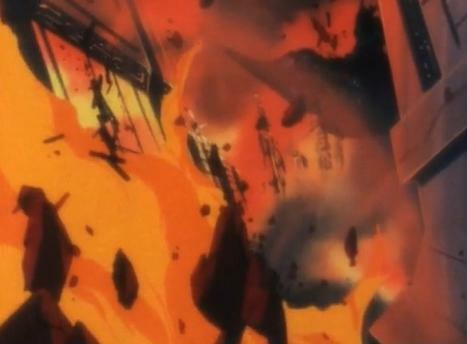 Earth was bombarded, but the combined forces of Earth's Grand Cannon, the Macross, and Breetai's rebel fleet retaliated with tremendous speed and certainty, using a broadcast of music over all Zentraedi military frequencies to cause confusion and to disrupt communications. When the battle ended, the two opposing Zentraedi camps had all but wiped each other out, and the Empire - what was left of it - was ripe for the taking. It took the Invid several years to really take advantage of the situation. In the decade prior to the destruction of the Zentraedi fleet, they had suffered terribly in massed engagements with the Zentraedi, and were as desperate for protoculture as were the Masters. But take advantage they did, reoccupying Optera, swiftly sweeping over the remnants of the Empire, and bearing down on Tirol herself. 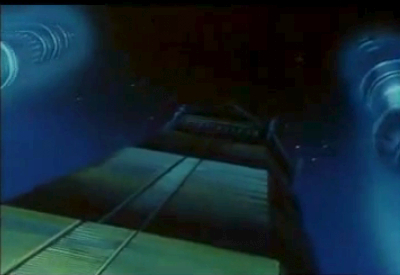 The only remaining option left to the Masters was to follow the Zentraedi to Earth. Uncertain of Earth's exact coordinates, their initial fold-jump, made in October of 2013, got them within twenty light-years of Earth, but without sufficient energy to complete the trip except by sublight drives. The trip was briefly shortened when sufficient energy was eventually squeezed from the decaying protoculture matrices for a short-range fold from several light-years out, but they arrived at Earth weakened and uncertain. More importantly for Tirol, its last line of defense had been taken from it, except for a paltry reserve of Bioroids. The world's citizens, long left to their own devices by the Masters and their orbiting Triumvirate clone societies, were left as easy prey for the Invid. The Invid's campaign of conquest concluded in December of 2022, when Tirol itself fell to their forces. 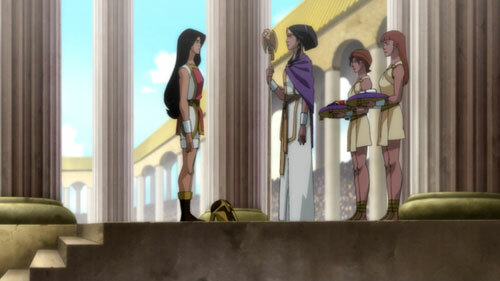 Though the fighting over Tiresia was fierce, most of the planet gave up without a fight. The Invid were not mollified by the easy victory, and set about the extermination of the Tirolian race. Their plans were interrupted in January 2023, when the REF, on a mission to prevent another war with the Robotech Masters or their armies, arrived on Tirol, and found itself forced to make war on the Regent's occupation force. Within three months, the spent and overextended Invid were driven from Tirol, and the REF was established as the custodians and inheritors of the world. In 2030, this relationship was formalized at Tirol's request, and the Plenipotentiary Council attached to the REF became Tirol's highest political body. The long wars had left Tirol in shambles. Off-world food and industrial production had virtually been wiped out with the loss of the colonies, and the only thing saving the Tirolians from famine was the fact that the population of Tirol had shrunk so dramatically. Though the brief Invid occupation killed many Tirolians, the simple fact is that Tirol had already become a lonely place. The extremely high standard of living had led to a very low birth rate for centuries. Furthermore, mass emigration occurred in the latter years of the Empire, in hopes of reestablishing a number of the colonies. 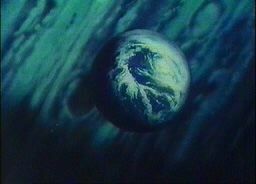 When the Invid were driven from Tirol, the planet's population was a mere two hundred and eighty million, similar to Earth's population after the Zentraedi holocaust. But one major difference was clear: the centuries of the very low birth rate, combined with a very long life span even for the lowest classes, had led to the graying of the population. When the REF arrived, the average Tirolian was over sixty, and people under thirty-five made up only seventeen percent of the population. The colonies fared far worse. At the height of the Elders' empire, almost a hundred billion Tirolians lived off-world. This number was more than cut in half by the bloody Ci'Vonian war. The Invid, it seems, completely succeeded in eradicating all the former Tirolian colonies - not a single colonist has yet been found alive. The Tirolian people had long forgotten how to take care of themselves. Virtually the entire urban population was made up of artisans and philosophers. The rural areas had largely become enormous estates, managed by automated machines. Science and engineering had long been the purview of the triumvirate clones, and the Masters made sure that the citizens of their homeworld were kept fed and indolent - as much to avoid further trouble from them as anything else. Nevertheless, the Tirolians have always been a proud and resourceful people, and the shock at seeing the Invid plunder their homeworld awakened the population from its long sleep. When the REF arrived and liberated Tirol, the Terran blood-brothers were received as heroes. 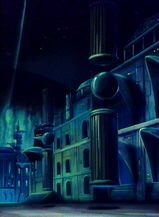 The cities were rebuilt, and technical schools, based upon the very successful ones created for the Zentraedi assimilated into human society on Earth, were established for the citizenry. In 2033, one hundred and seventy thousand triumvirate clones returned in the Marcus Antonius, and were repatriated with only minimal uproar from the Tirolian citizenry. These clones proved to be extremely valuable in Tirol's recovery, because of their substantially larger technical background, and their relative youth. The Sentinels' War and Edwards' abortive coup in 2030 were the only disturbances to hit Tirol during its reconstruction - and these mainly confined themselves to the Terran population living on Tirol. In the two decades between the arrival of the REF and the departure of more than half its number in the attempt to liberate Earth, the Terrans began to adopt Tirolian culture as their own. Intermarriage between REF officers and the remnants of the Tirolian patrician class became relatively common. 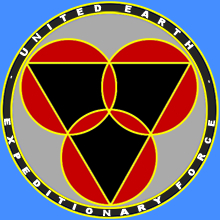 Though at first the military organization of the REF served to keep Terran and Tirolian cultures separate, the REF now began to integrate into Tirolian society, and by the time of reclamation missions to Earth starting in 2043, many of the Terran youth saw Tirol, and not Earth, as their home. Though the Sentinels' retaking of Tirol from Edwards saw the destruction of the last remnants of Tirol's capacity to produce spacecraft, Tirol remained an interstellar power, with the Terrans in the REF as their proxy. In 2035, Tirol entered as a signatory to the Sentinels Confederation, now as an equal partner, not as a master.